Now I explained what the art of needle felting is in my previous post, but if you missed it, check it out here. The explanation is at the bottom. – Lots of patience as this takes up some time, but it is so much fun! Using your yellow wool, cut your desired length and with your hand, shape it into an oval-ish potato shape, like that of a minion. Then, proceed to stab it with your needle (a lot) until it holds its shape. It MUST be firm and look like the picture below, because what you’re actually doing is tangling the wool until it’s so tangled you won’t be able to alter it’s shape afterwards. If you want your minion to be big (size of your palm for example) make sure you cut a big piece of wool, otherwise, if you start small, you’ll end up with an even smaller figure, because the wool shrinks a lot during the process. Once you get the hang of “needle felting”, the rest of the steps are basically easier than easy. I’m a beginner myself, and if I managed to do it, then so can you! Shape two smaller oval shapes with your dark blue wool and stab them for a while until they’re nice and firm. Then, stick them on your minion, but not with glue of course. All you have to do to attach them is stab them continuously in your desired spot, making sure you stab vertically and on around the sides of the “oval feet” to make sure they’re really in place and won’t fall off easy. Make them a little smaller as we will add their shoes, and their overall feet are very small. I then added the front pocket and the sleeves. Basically just eye-ball where you would place his hands in the next step, and just add the sleeves around that area. Next, roll out some long yellow wool, needle felt it and attach it to your minion. I know it might seem like my minion’s arms are long, but minions’ arms go down to their feet :P Make them just a smidge bit shorter because we’re adding black parts in the end as their gloves. Here, I skipped a few steps because I’ve already explained the basics on how to do them during those first few steps. Just add his details, black pieces for shoes and gloves, a cute little smile and of course, his signature goggles. Our bananas are green lol! Thank you guys so much for reading and I hope this tutorial motivated or inspired you to make your own little minion. If you did, always feel free to share your creations with me :) I love knowing people benefit from my tutorials! Yes, you read that right! Today’s post will be about “customising your own frame” to fit whatever theme you have in mind. I wont be able to demonstrate every kind of design of course, but I’ll give you some ideas. Only ones I could dig up, but you get the idea. Alright let’s get started! I’m gonna be displaying one of my graduation pictures with my friend, so that will be my theme. Blurring it out to respect her privacy :P Since this is a very optional type of tutorial, I’ll be showing you what I did instead of telling you what to or not to do. 1) A deep frame. I got mine from Ikea. 2) Patterned paper, or use paint to use on normal white paper. 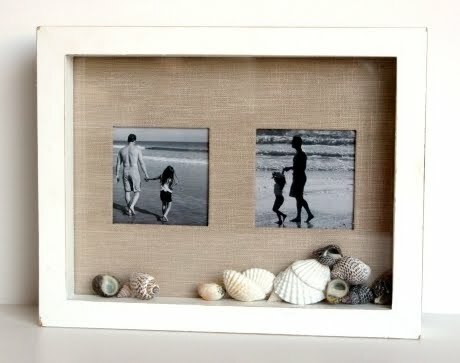 3) Polymer Clay or anything you can find or think of that you’d like to insert into the frame. 1) Since my frame already came with a layout, I cut up some of this pretty patterned paper and stuck it on to replace the plain white stuff. 2) Next, I added another smaller background to go under my picture as it was a little smaller than the square cutout above. To make it look more fancy, I painted a strip of gold paint on some paper and cut it up into thin strips for borders. Then I grabbed a little piece of red clay and flattened it out. Using my cutting knife, I pushed the tip of it on the outer border of the circle to make it look like those old melted candles that are stamped on scrolls or letters in the olden days :P My beautiful assistant May is demonstrating this for you! Initially thought of making a ribbon, but this looks way better, don’t you think? ;) Added two red strings to “dangle” under the “stamp” and stuck it on the certificate. For the yellow tassel above, I used some yellow clay and rolled it into a string, then pressed on one tip to place in the middle of the cap. I rolled another short piece of string (a little thicker than the first) and stuck it to my string’s end, and using a cutting knife, sliced smaller pieces like so for extra detail! Simple, but so pretty and easy to make! :) You don’t have to use polymer clay, as you can use flowers or dried rose petals, sea shells, or fill it with sand even! That’s why I love deep frames, because it’s all up to you!